and your loved ones can thrive and live an abundant life that utilizes your full potential! to restore your hope and create happy, healthy families without the use of interventions. understand that countless parents have felt they needed to give into drugs, but covering up the problem is simply not the answer. Thrive Family Chiropractic, LLC is the place you’ve been searching for. We’ll restore the hope, happiness and health to every member of your family — including you, since moms and dads all too often put themselves last! At Thrive Family Chiropractic, LLC, we don’t guess; we test. 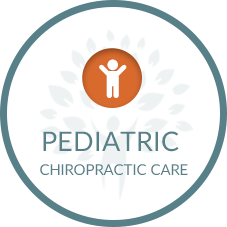 State-of-the-art technology is used to determine, scientifically, the level of you or your child’s nervous system health. The results will demonstrate exactly what is needed and where for an extremely precise approach to chiropractic care. You’ve come to your last stop on the journey of how to help your family achieve true health and wellness. Dr. James and his wife, Jessica, who works at our front desk, are here to support you in achieving your goals, cheering you on each step of the way. Contact us today to schedule your appointment! We look forward to meeting you and your family. Same-day visits are available with our Chiropractor Springfield MO, and complimentary phone consultations can be done over the phone. A wonderful first visit. I loved that I didn’t feel like just another patient, but a high priority to them. Thank you for giving us hope to help with his ear infections and looking forward to having his body learn how to correct itself. Best chiropractor experience I’ve ever had! Doctor is very thorough. Dr. Peterson and his entire family are such wonderful people. I am blessed and thankful to know them! Love you guys. So glad you are here for us. Dr. Peterson involved my son in our conversation and I loved how he included him instead of talking about him. It made my son feel calm and comfortable with Dr. Peterson. I am always very satisfied with my visits with Dr. Peterson. 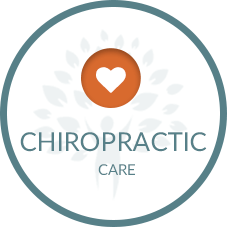 I could not feel as good as I do without my chiropractic care. Comfortable and encouraging atmosphere! Dr. James and his staff are professional and kind. I highly recommend Thrive Family Chiropractic! The whole Thrive office is fabulous! Dr James is very personable and caring. I’m excited to see my progress!